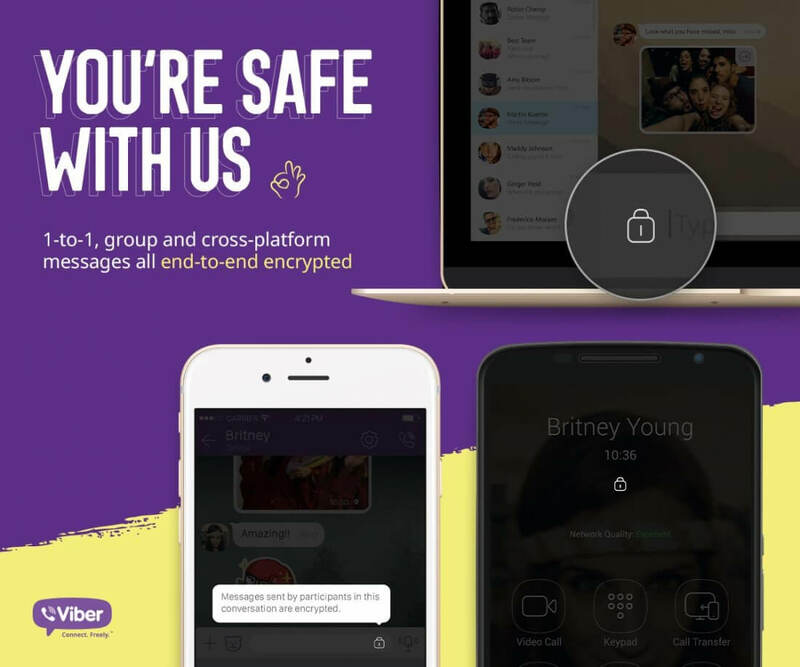 Viber on Tuesday became the latest messaging app to bolster its privacy chops with the addition of several new security-minded features including end-to-end encryption, a feature the company has been working on for years. Viber COO Michael Shmilov said end-to-end encryption will allow people to communicate without the fear of their messages being intercepted. The feature, which will be rolling out over the next two weeks, works with one-to-one and group messages as well as voice and video calls on mobile and desktop. Users simply need to make sure they have the latest version of Viber installed to prepare for end-to-end encryption. The app will use a color-coded padlock icon as a status indicator to determine if a conversation is secure. You can download the latest version of Viber here. Rival messaging service WhatsApp completed its end-to-end encryption rollout earlier this month. Viber is also introducing hidden chats as a way to keep conversations private on devices that may be used by others (think of a tablet or smartphone that you share with the kids… or a spouse). Hidden chats can only be accessed by entering in the correct four-digit PIN. While not new, Viber is reminding users of its enhanced delete feature. With it, users can delete a message in a conversation which subsequently erases it from the chat log of those you’re chatting with. Think of it as manual mode for ephemeral messaging. Viber launched in 2010 and was acquired by Rakuten – the same company that purchased buy.com – for $900 million in 2014. While not as big of a name as WhatsApp or SnapChat, Viber had well over 700 million registered users as of this past December.